I have moved to Peru after having spent nearly 8 years in Bolivia, a place which leaves you breathless with its spectacular mountains of the Andes, thick jungle, desert, the biggest saltflats in Uyuni and lots of farmland. It is a very indigenous country and is still struggling to overcome its challenging history since the colonization by the Spaniards, followed by corrupt dictatorships, including racism and repression. And one can strongly feel these marks in the energy of the towns, cities and in its people, who are more introverted, shy and at times even submissive (especially in the Andes). Nevertheless, something gripped my gut so strongly when I arrived with a heavy tonsillitis by bus the first time, still backpacking and with the mission to completely let go of my former life. Fever ridden and trembling in the morning cold, I remember like yesterday the indigenous women with their long black braided hair and their colourful clothing selling fruit and drinks. Now I can say, that it was a knowing, a calling to connect to this country with its magical power and ancient wisdom. It has been a time of powerful learning in so many ways. It is obvious when spending a long period in such a different part of the world. During these years I had little contact to foreign travelers or ex-pats, due to my work and travels and was therefore able to learn a lot about the ways of thinking and feeling, the behavior and attitude of Bolivian people, which is of course very different to Europeans. And as one can imagine, there was much joy and happiness, but even more disappointment, anger, betrayal, pain and despair. Many times, but especially during the three couple of years I had been determined to leave. I didn´t want to suffer any longer. But I also know of my profound Scorpio qualities: constant death and re-birth as a major part of internal growth, expansion and healing. 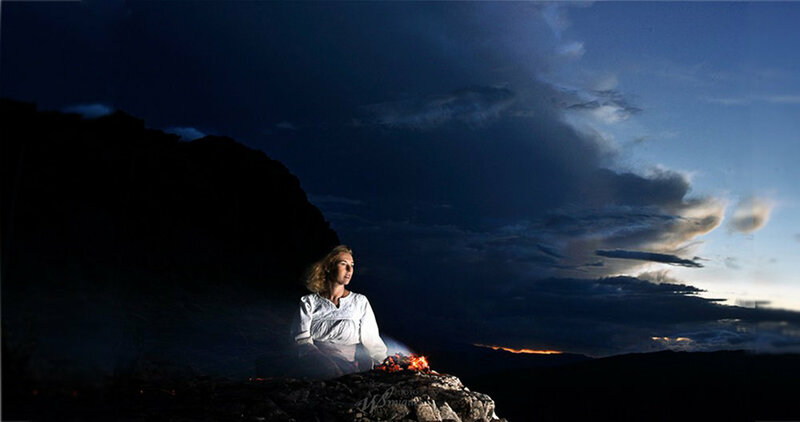 Since my first moments I felt the profound connection to Pachamama (the ancient belief system of the Andean people to Mother Earth and the Cosmos), a re-awakening of a knowing inside me towards their way of offering, connecting and calling upon this wisdom. I was so often excluded or lampooned, but my trust and patience helped me a lot.My major healers and advisors were the big Apus (the sacred mountains) like Illimani in La Paz but also the Obispo and Chataquila (my home mountains where I lived near Sucre), the magical waterfalls of Aritumayu, the sacred lagoon “Ojo del Inca” near Potosí - just to name a few. 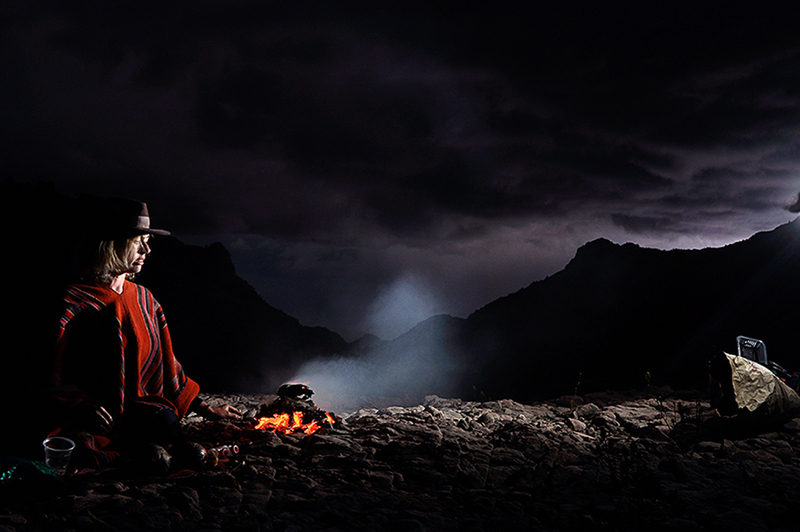 You may wonder, how mountains or rivers can be so meaningful, but Bolivia´s nature is SO powerful, so full of wisdom, that it wasn´t so necessary for me to look for human advice. The received messages came from unconditional love and internal power. I must say, when the opportunity came last year to leave, I was still very grateful. I had not felt fulfilled with my work anymore, I had hardly no friends because of my internal changes over the time – from being an outgoing party person to a profoundly spiritual person with the strong desire to help people open their hearts and their minds, ready to give my little part in changing human consciousness and healing the world by learning to be an intuitive animal communicator and practicing different healing techniques in my spare time, developing strong clairvoyant abilities. I have found a deep and profound gratitude in every encounter, in every lesson, in every wound that I suffered whilst having lived in Bolivia. I am so grateful for my job that I had, although it was less and less fulfilling until being unbearable at the end. EVERYTHING brought me one more step closer to the person that I now am. I have learned with all my senses (body, mind and soul) to forgive, to see with the eyes of the eagle and to hold the place, events and people finally in unconditional love, which brings pure gratitude. I miss Bolivia and bow with humility to its incredible energies that this place holds. THANK YOU! Namasté! Pachi!